NEW YORK, May 29, 2013 /PRNewswire/ -- Foot Locker, Inc. (NYSE: FL), the New York-based specialty athletic retailer, announced today the appointment of Paulette Alviti as the Senior Vice President and Chief Human Resources Officer effective June 3, 2013. Alviti brings an extensive background in human resources, both domestically and internationally, with experience in organizational capability and training, talent acquisition and development, employee engagement, and communications for the corporate office and field organization. "We are very excited to have Paulette join us to lead this important component of our business," stated Ken C. Hicks , Chairman, President and CEO of Foot Locker, Inc. "Paulette has tremendous background and great energy that I'm confident will support us in strengthening our industry-leading retail team." With more than 20 years of experience in human resources and employee management, Alviti will oversee the development and delivery of global human resources, serving over 38,000 Foot Locker, Inc. associates worldwide. Her responsibilities include compensation and benefits, organization and executive development/succession planning, employee engagement, talent management, human resources management systems, and corporate communications. 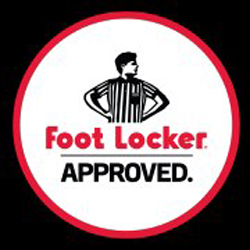 "I'm very excited to be joining Foot Locker, which is known for its dedication to superior customer service and valuing associates as our competitive strength," Alviti said. "I look forward to working with the human resources organization and Foot Locker's leadership team to further develop our talent, diversity and culture to accelerate long-term growth." Alviti joins Foot Locker, Inc. from PepsiCo, where she has worked for 17 years, most recently serving as Senior Vice President, Chief Human Resources Officer at PepsiCo Asia, Middle East and Africa. She is a graduate of the University of Connecticut and holds an MBA from Pace University. Foot Locker, Inc. is a specialty athletic retailer that operates 3,321 stores in 23 countries in North America, Europe, Australia, and New Zealand. Through its Foot Locker, Footaction, Lady Foot Locker , Kids Foot Locker, and Champs Sports retail stores, as well as its direct-to-customer channel Footlocker.com/Eastbay/CCS, the Company is a leading provider of athletic footwear and apparel.